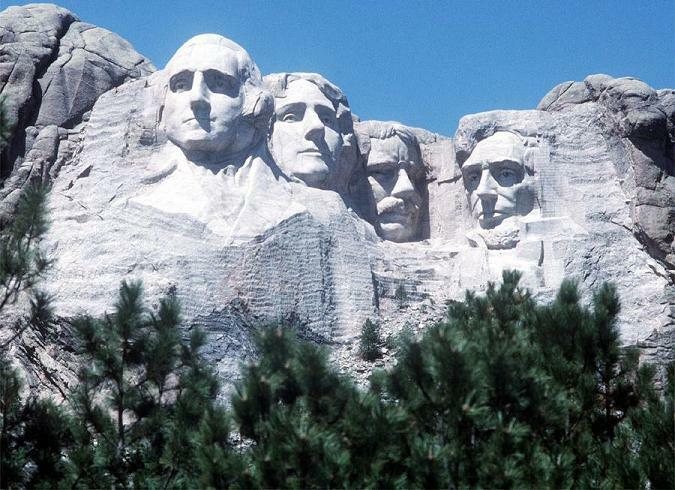 Distinction: South Dakota is home to the largest mountain sculpture, the Crazy Horse Memorial. Geographic Oddity: It is possible to stand in South Dakota facing due north and yet have Montana filling your forward range of vision. Do you know how? Something you might hear a Pheasanteater say: "The Black Hills aren't black, they're green, and they aren't hills, they're mountains. But if you live in East River, you may not know that." Little Known Factoid: There's a place . . . If I could live anywhere in South Dakota, it would be in Hill City, in the heart of the Black Hills.